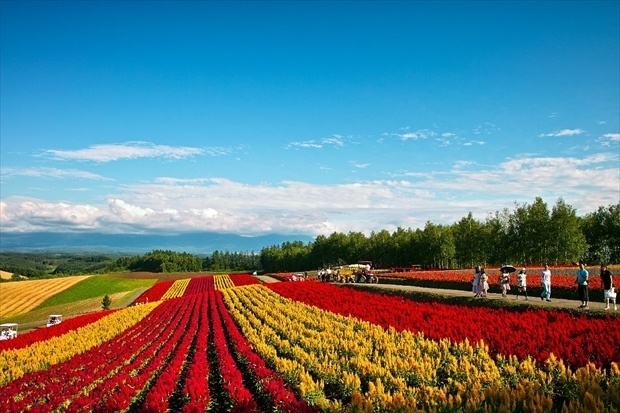 Recommended sightseeing spots in Hokkaido and Biei from Spring to Autumn. Get moved by spectacular views! 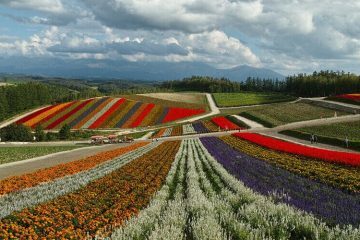 Biei is a famous sightseeing spot, visited alongside Furano, that has spectacular views and can be enjoyed from Spring through Autumn. Even if you have some vague desire to go to visit Biei, we’re sure you’d like to know the major spots there. 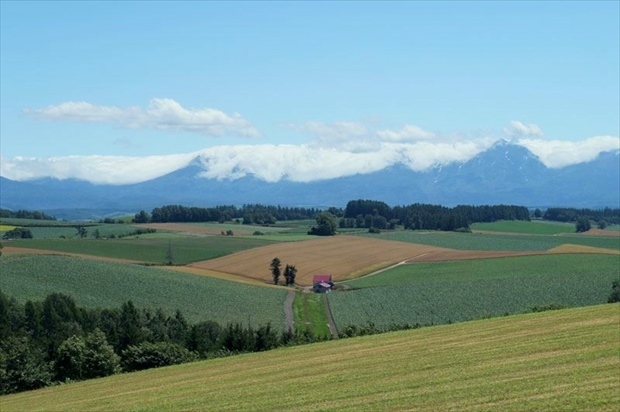 Morever, Biei and Furano are rather different, so it’ll be more fun if you get to know about these places before you go! 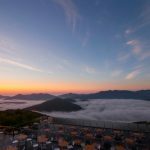 We’ll be giving you a roundup of what’s alluring about Biei, how it is in comparison to Furano, the best time to go there, recommended sightseeing spots, and the best cafes and shops of the season. The hilly landscape is remarkably beautiful. In the right season, it’s worth seeing the blooming flowers and the lush greens. The hill is separated into an area called “panorama road” and another one called “patchwork road”, with each place dotted with numerous spots with amazing views. 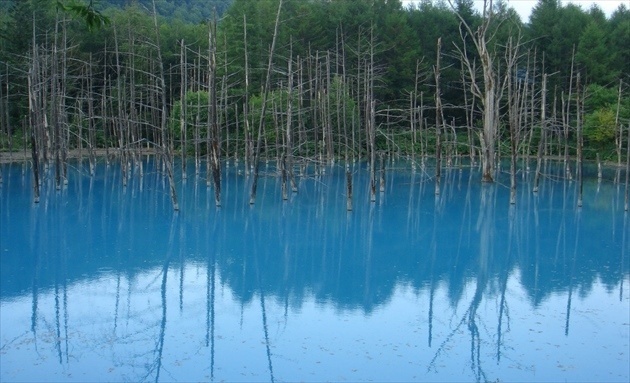 In Biei, there is also a mysterious pond, called the “blue pond.” In recent times, it has turned into an extremely popular spot. 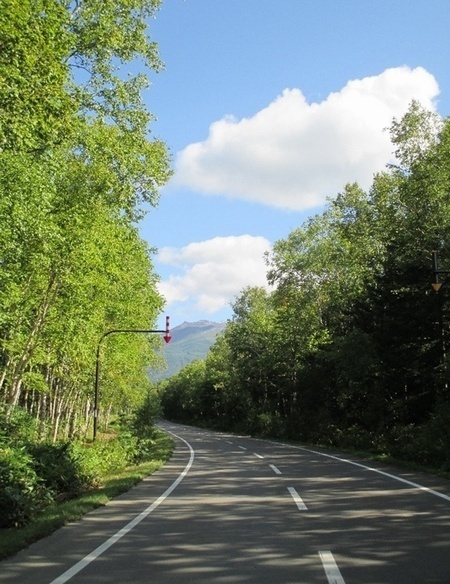 Shirogane-Kaido road is perfect for drives; it’s a popular spot to drive through, while enjoying the sunshine filtering through the foliage! It’s a region blessed with good topography and environment. The vegetables bathed in plenty of sunlight are exquisite. They’re so delicious that they’ll even appeal to people who normally dislike vegetables! Biei is a charming town filled with flower gardens that bloom each season on hillsides and has a nostalgic rural scenery. We’re sure you want to choose a season that will be a treat for your eyes while you’re visiting the hillsides. If we were to break it down by season…. – March to May: preparation period. It’s the time when people wait for the flowers to bloom and the landscape to turn green. June to October: The summer is full of beautiful flowers such as sunflowers or scarlet sage. 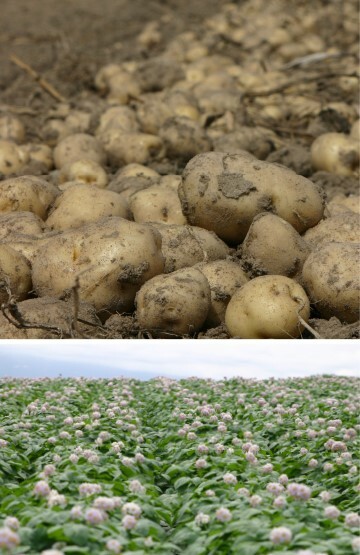 Other than that, flowers of agricultural products (potato fields, etc) are also beautiful when they bloom. The gleaming gold wheat fields are also wonderful. That’s how it is. We could probably say that the best season is from June to October, when you can enjoy the distinctive characteristics of Biei. Sightseeing spots are inevitably crowded, because of the factor that they’re only limited to a specific time and place. 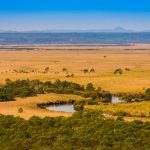 Group tours arranged by travel agencies are also popular, and since people come from all over the country, it’s hard to avoid crowds in major spots. However, weekdays are somewhat better. On weekends, not only tourist spots, but also roads are congested. While Biei does have some parking areas, there are more areas where you can’t park, making it difficult to move around in a rental car. That’s why we would like to personally recommend “rental cycles”. 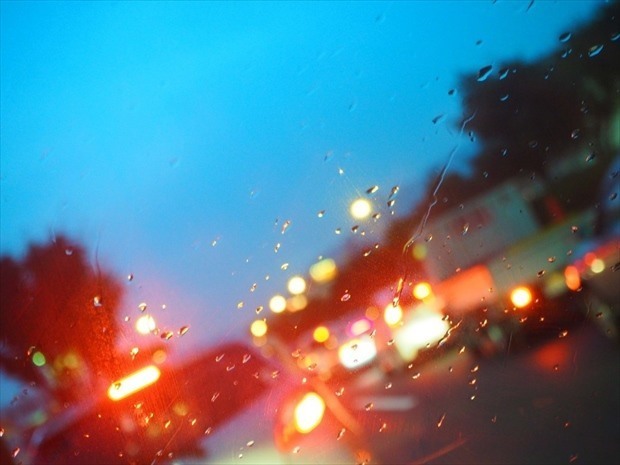 Even if there’s traffic on the road, you can easily slip through, making it a comfortable means of travel. There’s no parking traffic either so you can go wherever you want! 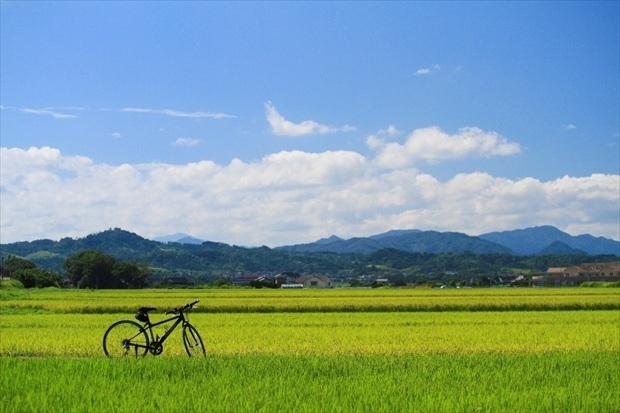 Also, because Biei is a hilly area, many may think that the slopes are tough, but with electric bicycles, you can move easily though hills and slopes. You can definitely give it a try! NB: If you’re driving a rental car, watch out for people on rental cycles! NB: If needed further information, please, click here! 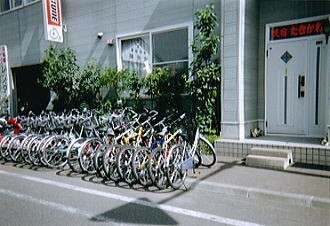 Five minutes from Biei station, this rental shop deals with electric bicycles, ordinary bicycles, and even bikes and scooters. Not listed on guidebooks, go cycling with a tour guide! 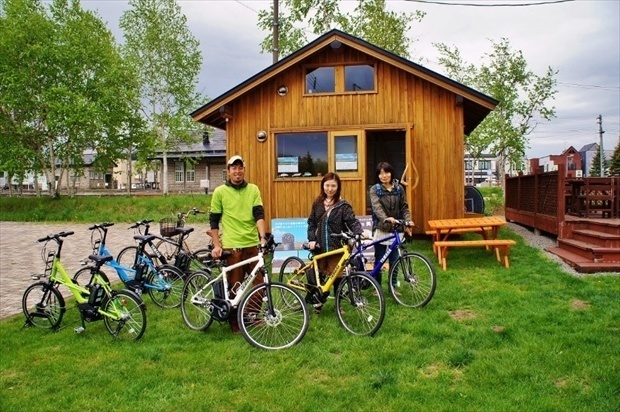 This shop provides guided tours where you can enjoy the views of Biei on an electric bicycle. – Rate : Varys in the kind of a bike you wish to rent. Please, inquire us. – No booking for rental bikes. Only for guided cycling tour. For Biei, accommodation should be selected based on what you want to do. So what’s the purpose of your visit? A hotel near the station for those who want to go sightseeing early in the morning. 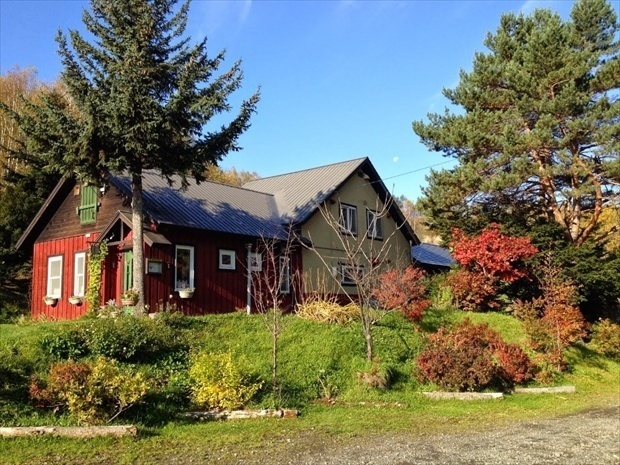 It’s relatively easier to secure accommodation in Biei compared to the popular Furano. That being said, if you don’t book early, reservations start to fill up fast for July, which is the peak season. Accommodation plays an important role in affecting how good or bad your trip is, so do ensure to make early reservations! 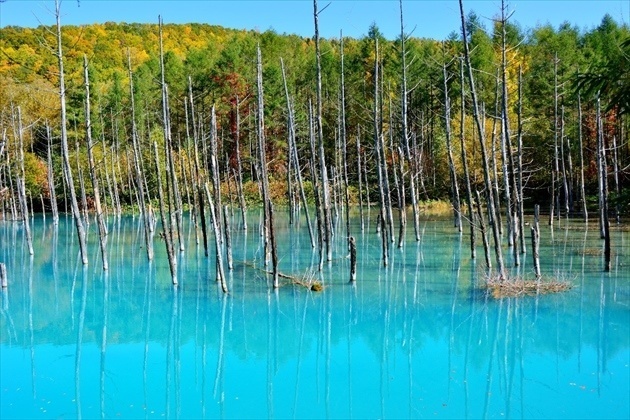 This used to be an unknown spot in the past, but recently, the blue pond has started to become popular enough to draw in tour busses. 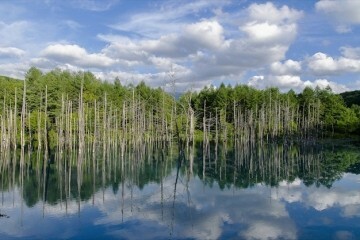 The charm of this beautiful pond is that it changes its color according to the weather and the season. Be sure to visit this ever-transforming place. 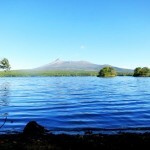 *For further information about Blue pond, click here!! 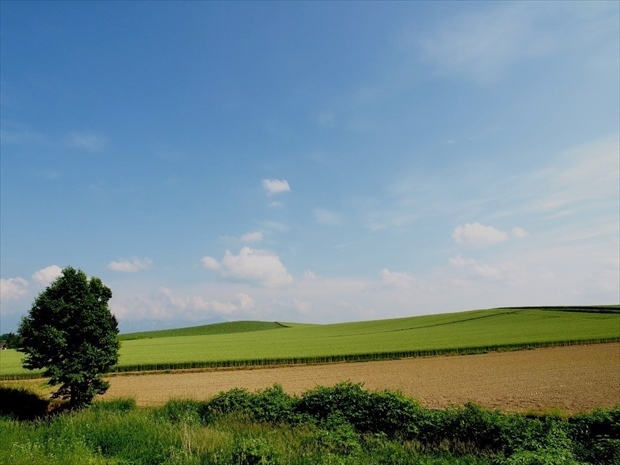 Panorama road and Patchwork road are must-see spots if you’re visiting the hilldides! 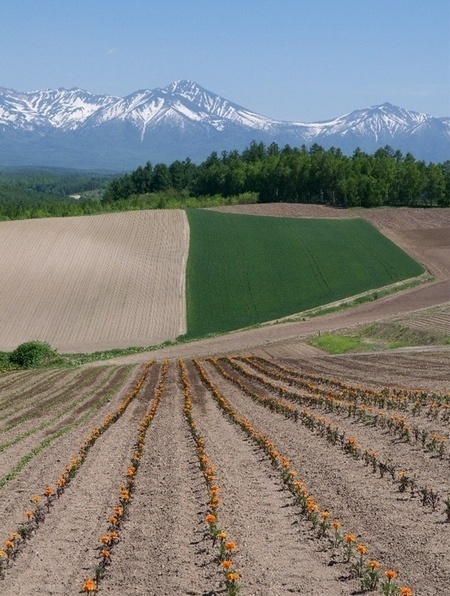 Shikisai-no-oka hill is usually enjoyed alongside the lavender fields of Furano. 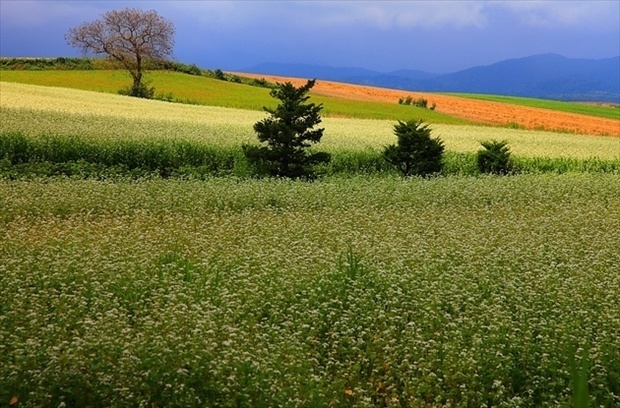 Biei’s topography is ideal for the beautiful summer flowers that cover the hills. 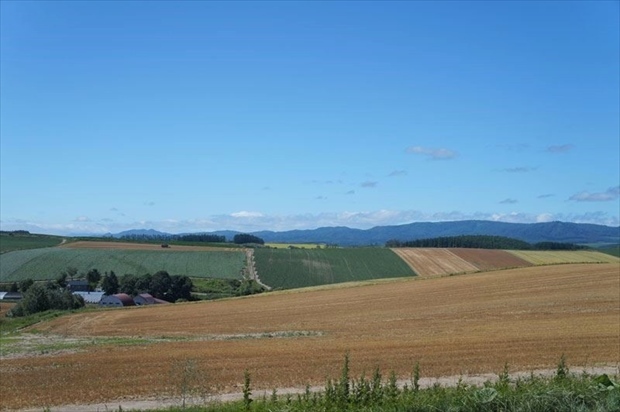 This spacious and beautiful area also allows for a view of the Tokachi mountain range. This is a touristy farm area which has alpaca farms, souvenir shops, and direct sales of fresh vegetables. The lavender soft ice cream in the snack area is quite popular! 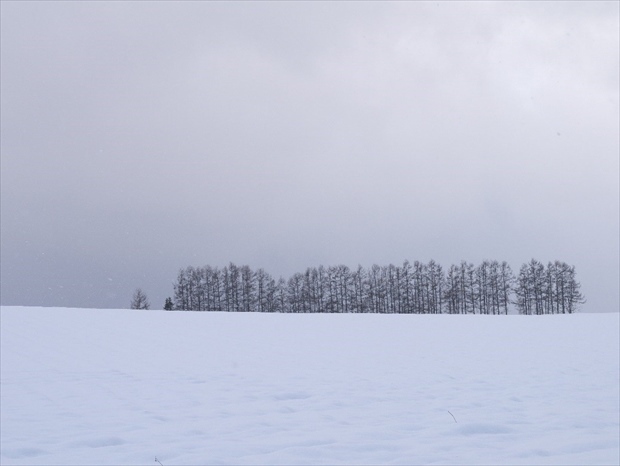 Standing on the slope of a hill, the so-called “Christmas tree-no-ki” is a spruce tree shaped like a Christmas tree. If you look carefully, the top part of it looks like it’s shaped like a star; hence the name. 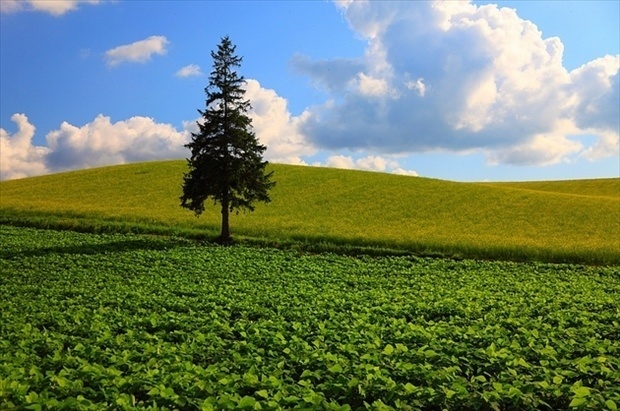 The hill stretches all around and this tree has become a shining presence in Biei. Since the tree is located in private property, it is not possible to enter the area. If you’re taking a picture, the tree is more beautiful from a distance anyway! Take a picture from your desired angle with the hills or the sunset in the background. 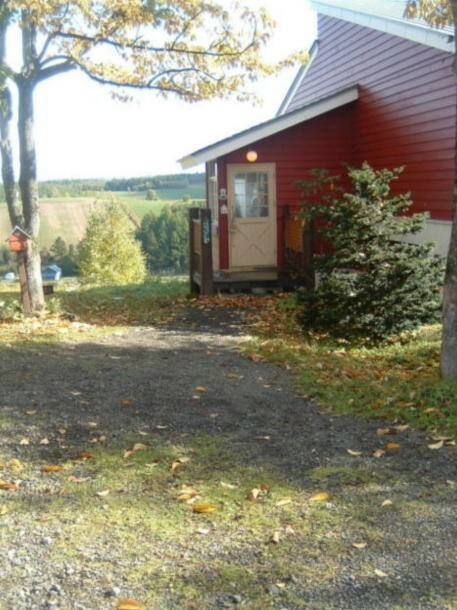 A cute red-roofed house standing on the beatiful hillsides. It became famous since it was featured on the House Cream Stew commercial. The red-roofed house stands with a presence on the undulating hills, giving the illusion of a fairytale setting. 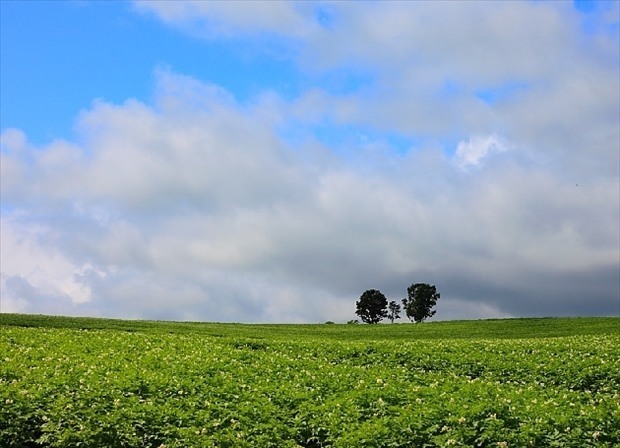 This view would take anyone’s breath away; you can experience the lush greens and the wide open spaces. Since this is also a private property, be sure not to enter! This is an observation park where you can see all around Panorama road. 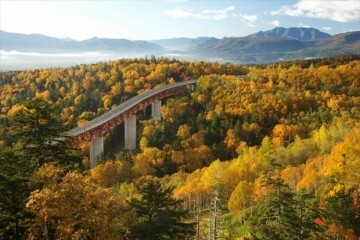 The road seems to span on forever, giving way to the Tokachi mountain range. It’s a spectacular view. 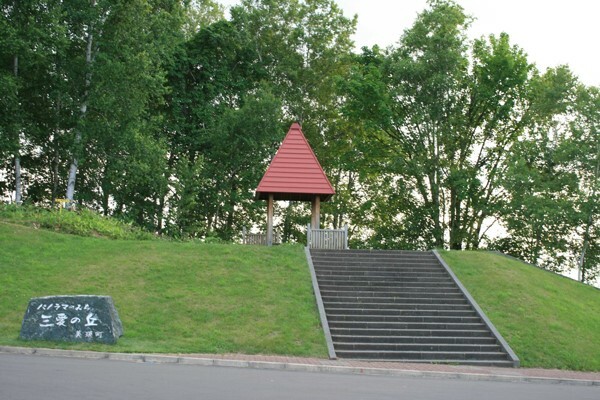 You can see the symbols of Mima elementary school and a triangular tower a few hills ahead, so do look out for them! Blue skies contrasted with the hills and wind-breaking trees make for a wonderful combination. The toilets are also available from Spring to Autumn here, so it makes for a great place to take a rest! 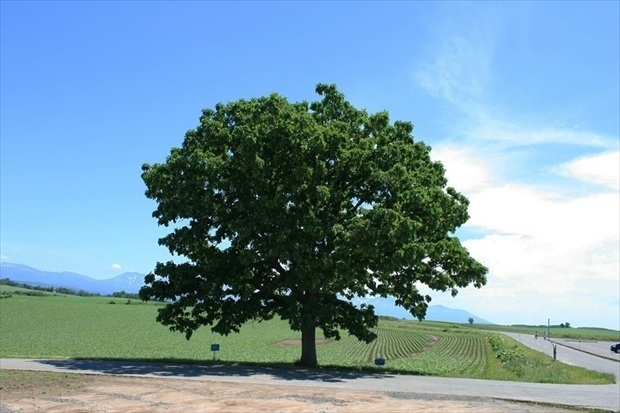 This oak tree, standing silently over the hills, has called “Seven Stars Tree” ever since it was featured on the package of Seven Stars cigarettes in 1976. After seedlings are planted for farming, one side of the hill is covered in colorful flowers and the landscape becomes even more beautiful. The flowers planted in a unique topography make it look like patchwork, which is why it is known locally as patchwork path. You can go up-close to this spectacle so do enjoy the view! The great point about this picturesque scenery is that it’s lesser known among the sightseeing spots in Biei, making it less touristy. 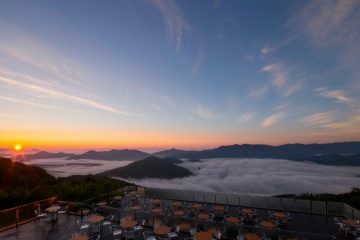 This great spot is highly recommended because it has a wide panoramic view which allows you to see the hills rising around you! You can stand on the hilltop by going up a narrow path, and the path down spreads onto a carpet of lavender and potato field flowers blooming. It’s a chance to appreciate a beautiful view. 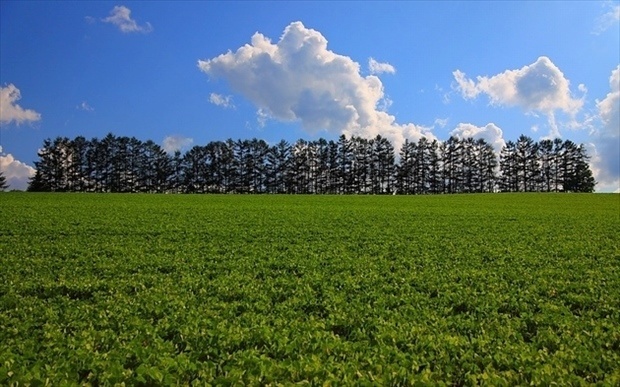 The crops change every year, so the charm of the place lies in the fact that you won’t see the same view twice. It will be wonderful to stand on this unique location with your own two feet. 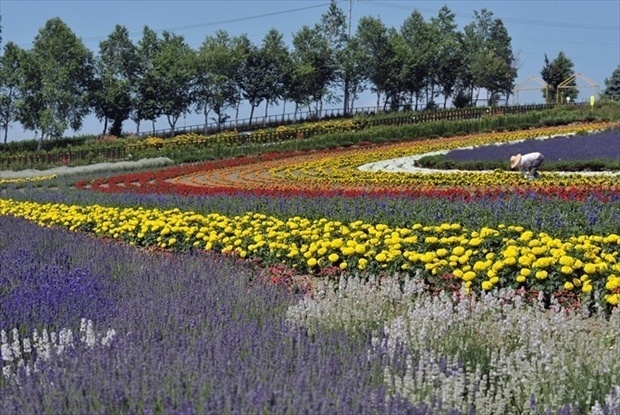 This spacious garden of about 60,000 square meters has colorful flowers planted in a circle in brilliant patterns. The flowers you can see here in the upcoming season include lavender, scarlet sage, marigold and other summery flora. 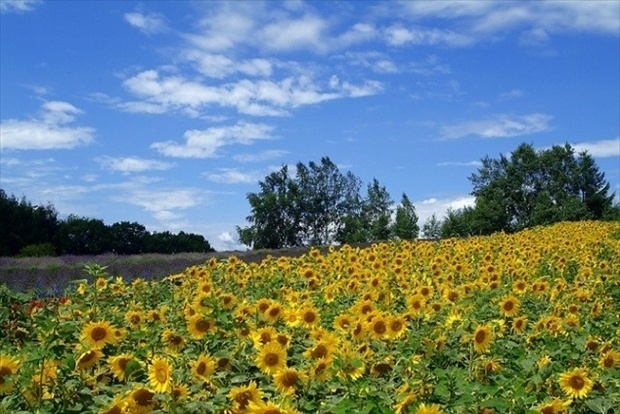 Another must-see in this vast site is the sunflower field. The beautiful sunflowers blooming on a gentle slope of the hill would cheer anyone up! 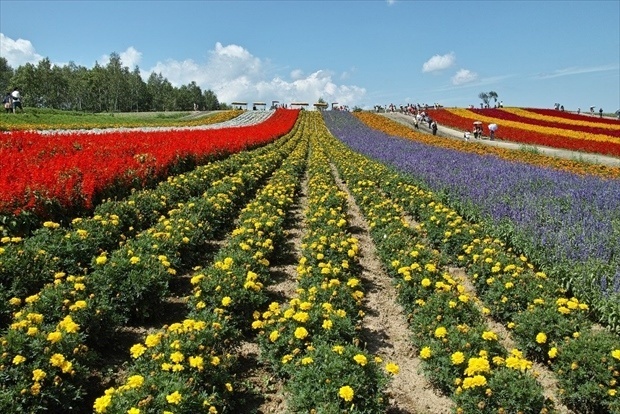 The circular flower field also includes flowers representative of Biei. It’s a popular place to enjoy the views in a laid-back manner. Within the premises, you can also move around in a buggy, so take some time to have that experience as well! There’s also a spot in the observation deck where you can get a view of Ken and Mary’s tree! It’s a rich sightseeing experience! 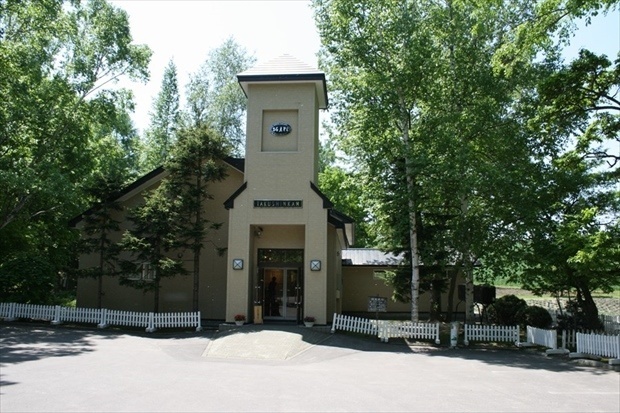 Takushin-kan gallery is packed with the highlights of Biei; it’s the personal gallery of Mr. Shinzo Maeda who illustrated the concept “Biei- the town of hills” with photographs. This gallery was created by teaming up with the town of Biei and reusing the site of the former Chiyoda elementary school. Within the gallery, you can view striking hilly landscapes in each of the four seasons. The gallery occasionally changes the exhibits making it a place that fans just can’t get enough of. There are also lavender fields in this area, so do drop by to see them too! 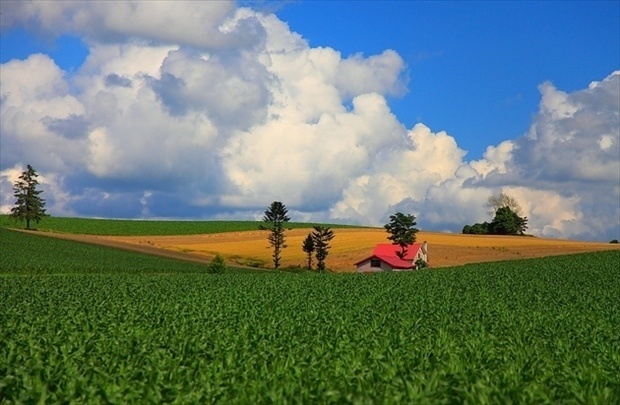 FIY, Takushin-kan was selected among “Hokkaido’s top 100 ranking for community development” in 1988 and in 1999, Mr. Shinzo Maeda received the Japan Photography Association Award for Cultural Promotion. In this picturesque cafe which stands along with nature, “handmade” is the motto and the burgers are popular. 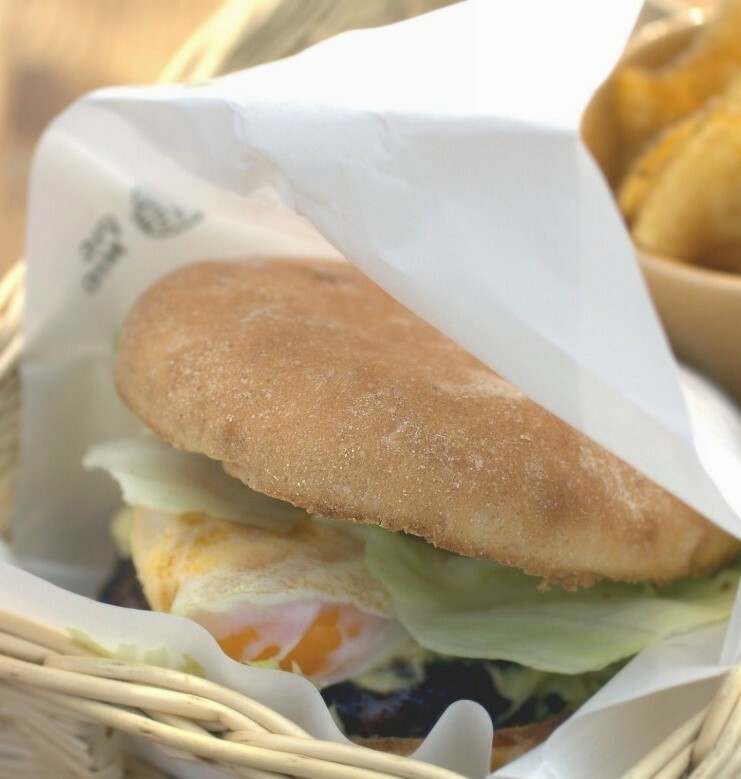 The hamburger, wrapped in handmade buns essentially uses ingredients produced in Biei. The shop is run by a husband and wife duo and even the interior has been decorated by hand. Do drop by when you’re visiting Biei! 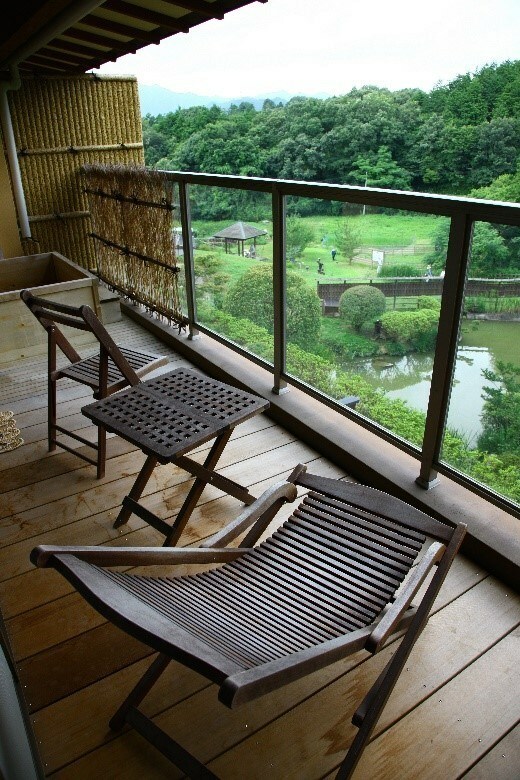 ・ Oka no Chaya (Teahouse of the hills): Kazamachi Kobo. Let time slow down while you’re looking over the hills of Biei . 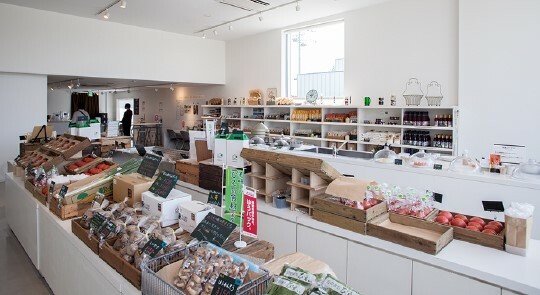 The homemade hamburgers, homemade pork sausages, and the bread made with Hokkaido wheat are all popular items! You can see a view of Panorama road, so incorporate this place into your trip around the hills of Biei. Also, handmade soba is also available in the tourist seasons of early summer to the beginning of Autumn. Do try eating this fragrant soba, available only for a limited time! The owner, Stefan, is from Germany. The collaboration of vegetables, home grown on the foot of Mild Seven hill, and rural Germany food such as soup, sausages and rye bread are sure to whet an appetite. The red building was built by the owner. 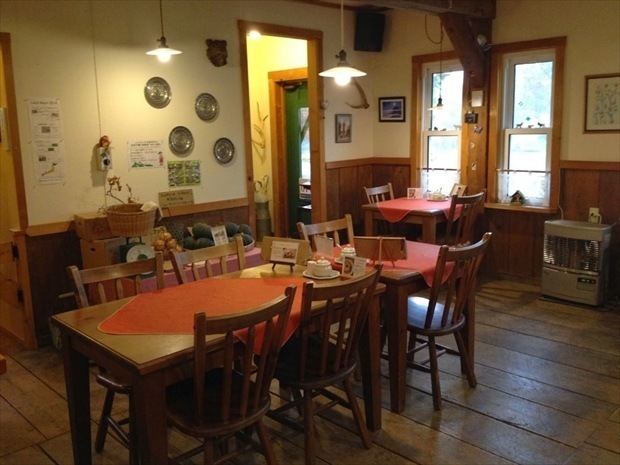 This cafe, with a homemade feel, is quite popular in Biei. The vegetables grown in the hill in front of you are used in the cooking. Drop by for a delicious lunch; this place that will make you feel right at home. Also, the homegrown vegetables are also available for purchase, so do take a look! At the end of a white birch forest path, lies the log house blending in with its natural surroundings. 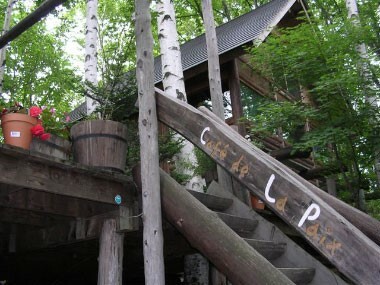 This wonderful cafe looks like a piece of art and was built by the owners, a husband and wife. The interior is also decorated well by the owners, who happen to be flower coordinators. The nature within the building is also an important attribute! 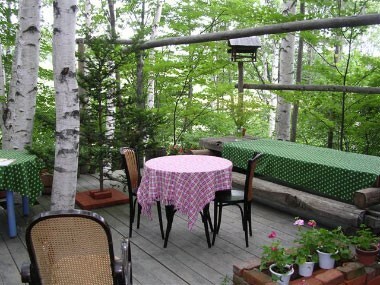 Why not enjoy some tea and sweets surrounded by a white birch forest? Asperges Restaurant, a French restaurant which cooks seasonal ingredients naturally. -Wheat factory, where you can directly buy bread made with Biei wheat. Biei Senka consists of these four areas. You can get a taste of Biei in this wonderful spot. It’s a place where you can spot a big difference, even with common vegetables such potatoes, onions, pumpkins, and broccoli. You can sample freshly picked vegetables and hear about how to cook them in the food corner, so do stop by! Also, there are some items that get sold out in no time, so we recommend going there in the early morning! 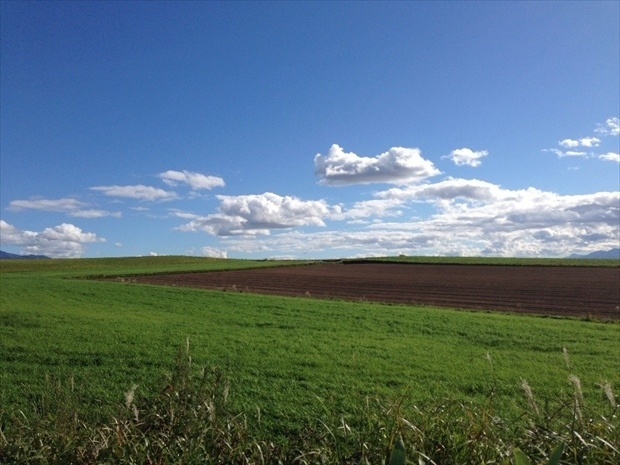 The scenery of Biei can be seen, without a doubt, on anything related to tourism in Hokkaido. The fact that this town of hills draws in even professionals tells us that there’s something to the classic spots of Biei. 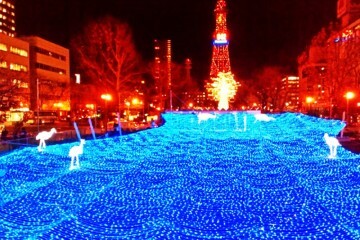 It’s a place that can make us see the beauty and gifts of nature. The beauty of Biei awaits your first visit! We hope that you can taste the wonders of Biei that just can’t be described in words! 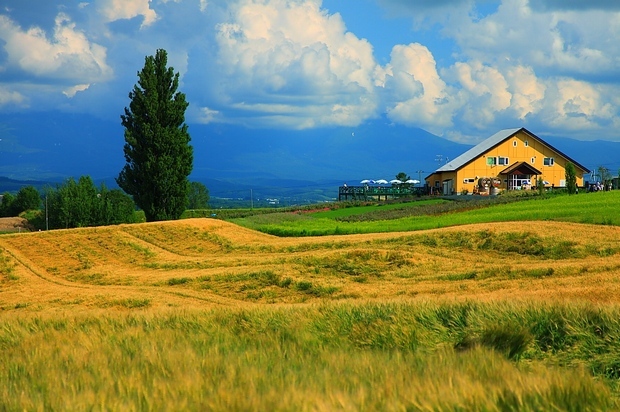 Tourist Spots and Some Model Courses in Furano and Biei!